The participants for this year’s Junior Entertainment Talent Slate at Berlinale have been confirmed with some of Ireland’s best emerging talent being selected for the 3rd edition of the initiative. 22 film projects in total will be participating in the JETS 2019 edition from Canada, Finland, Germany, Ireland, Norway and UK. The Irish contingent is headed by Jonathan Farrelly (Writer/Produer) and Mark Smyth (Director) with the project, ’11 Days’, a gritty eco-fiction thriller inspired by the events caused by the ‘Beast From The East’ last year. 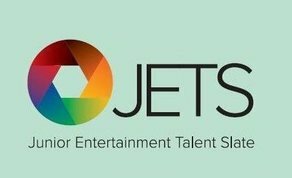 Other Irish projects and participants selected for this year’s edition of JETS include ‘Fence’, which is directed by Michael Carolan and produced by Tamryn Reinecke, ‘Paradigm’, produced by Richard Bolger and directed by Gavin Kilduff, and ‘Sparrow’, directed by Michael Kinirons, and produced by Alicia Ní Ghráinne and Edwina Casey. Jonathan and Mark were part of JETS 2018, with the project, ‘Will It Be A Kind God?’, which is set to go into production in July 2019. Mark Smyth is also about to release the Galway Film Centre short, ‘The Bridge’, while Jonathan has just produced the comedy feature film, ‘Poster Boys’, written and directed by Dave Minogue. The two will also write and direct last years Film Limerick bursary winner, ‘Everything Looks Better In The Sunshine’, produced by Ronan Cassidy and Greg Burrows, which is set to shoot in March 2019. The 2019 JETS Jury features two Irish judges with Savage Production’s Conor Barry and Fantastic Film’s John McDonnell named among the 13 selected. JETS unites 1st, 2nd and 3rd feature film filmmakers with German, Canadian, Irish, British, Finish, Norwegian and US producers, sales agents, finance and distribution companies during a pitching session with the aim of Co-Production. Click here for more information about the Junior Entertainment Talent Slate.